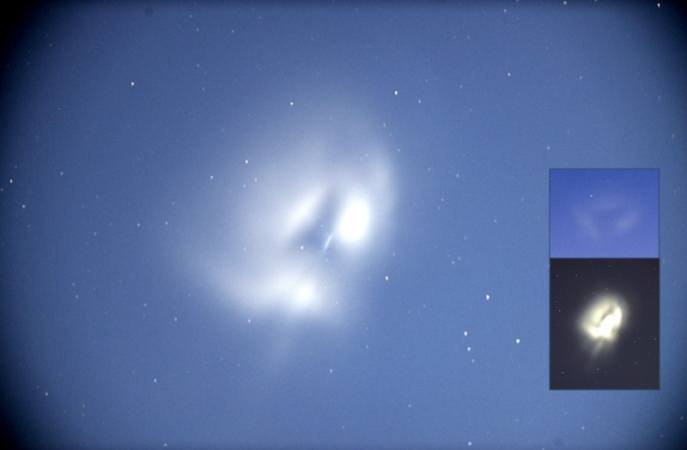 "Japanese Rocket" or UFO Seen In The North American Skies! The Official story is a Japanese rocket carrying a communications satellite. Japanese rocket surprises sky watchers: Unbeknownst to most people in North America this morning, Japan launched an H-2A rocket carrying the Telstar 12 Vantage communications satellite. The resulting display surprised sky watchers in at least half a dozen states. “I was observing Comet Catalina before sunrise, when I noticed this thing halfway up towards Venus,” reports Glen Wurden of Los Alamos, New Mexico to Spaceweather.